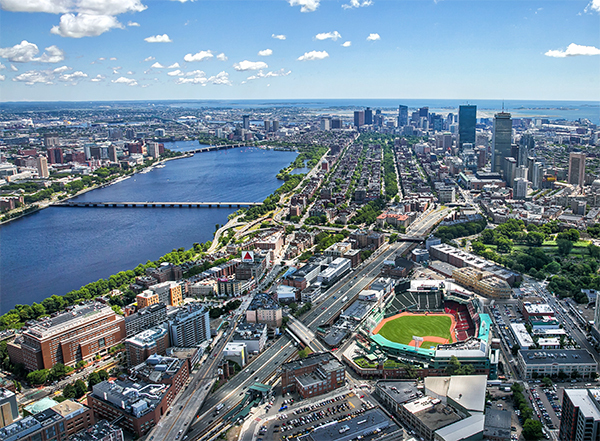 We have just highlighted a few of the attractions in Boston. There are many more! Click here for more Boston attractions. One of Boston’s most famous attractions is the Freedom Trail, a 2.5-mile line alternately painted red or paved in red brick which guides visitors to some of the city’s most important historic sights. 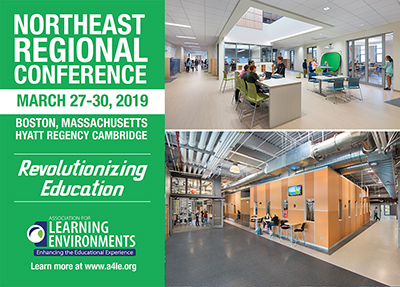 Highlights along the trail, which officially includes 16 sites, are Faneuil Hall, Old State House, Old North Church, the Paul Revere House, King’s Chapel and the Bunker Hill Monument. 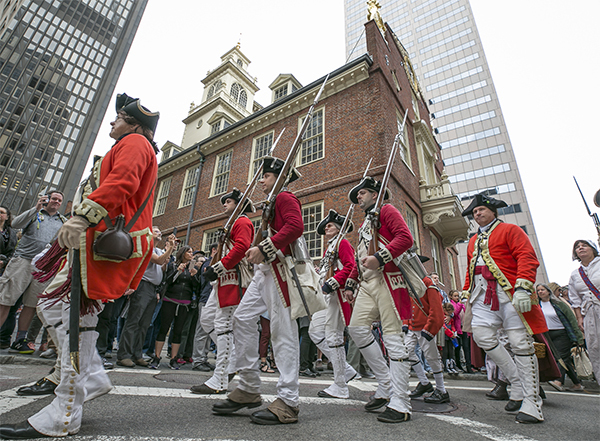 Begin a self-guided tour from Boston Common; sign up for a free guided tour given by the National Park Service at Faneuil Hall; or book a tour with the Freedom Trail Foundation, where 18th-century costumed guides lead the way. Located in downtown Boston, steps away from the waterfront, Faneuil Hall Marketplace is alive today as it was in 1742 when our nation’s fathers proclaimed it “The Cradle of Liberty.” Enjoy unique, locally loved, and nationally recognized shops while indulging in the worldwide cuisine at the restaurants, pubs, and in the world-famous Quincy Market Colonnade. The North End, Boston’s Little Italy, is a maze of narrow streets with some of the city’s oldest buildings. On the self-guided Freedom Trail, pass historic sites like the 1680 Paul Revere House and the Old North Church, which played a key role at the beginning of the Revolutionary War. Italian restaurants, coffeehouses, pastry shops and old-school delis pack the area, especially on lively Hanover Street. 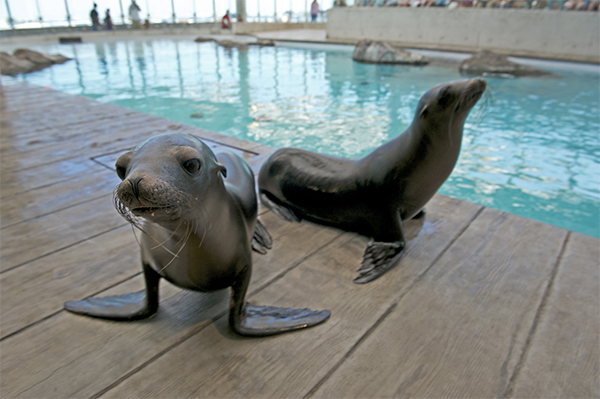 The New England Aquarium is located at the wharf. The Giant Ocean Tank simulates a Caribbean coral reef and houses sharks, sea turtles, stingrays, moray eels, barracuda, and many smaller reef-living fish. Open at the top, the concrete tank is surrounded by a walkway that spirals down, allowing access to 52 windows that offer views of the reef from every angle and level. Catch a water taxi, ferry or take a harbor cruise & whale watch tour from the wharf. Of all the venues where sporting events are held, none can compare to Fenway Park, which locals hold in absolute reverence. The nation’s oldest Major League Baseball ballpark, where the Red Sox have played since 1912, seems like a throwback to more innocent days, where legendary games have played out over the decades. If you can’t make it to a game, excellent tours run year-round and even get you onto the hallowed ground of the field. Boston Public Garden, is a large park in the heart of Boston, adjacent to Boston Common. It is bounded by Charles Street and Boston Common to the east, Beacon Street to the north, Arlington Street and Back Bay to the west, and Boylston Street to the south. The Public Garden was the first public botanical garden in America. 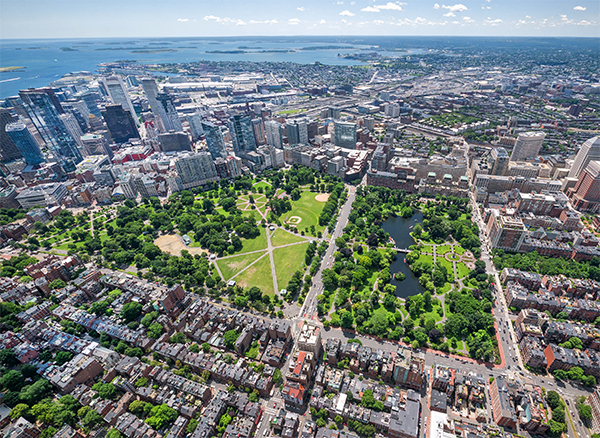 Dating from 1634, Boston Common is the oldest city park in the United States. Affluent Back Bay is a shopping and dining destination. 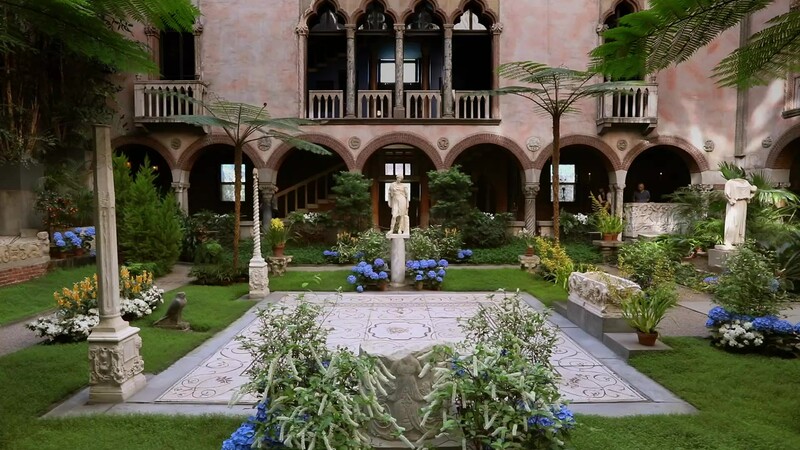 The Isabella Stewart Gardner Museum houses an art collection of world importance, including significant examples of European, Asian, and American art, from paintings and sculpture to tapestries and decorative arts. 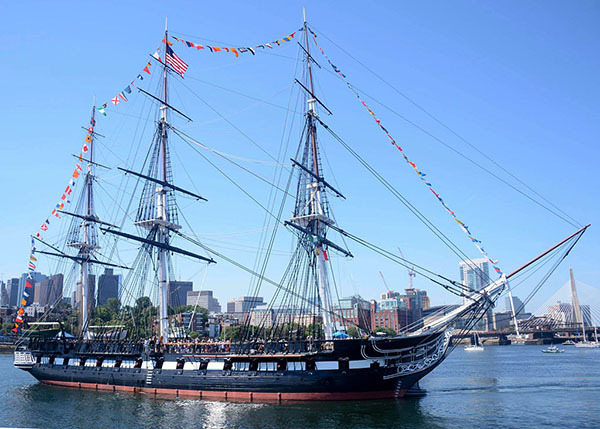 USS Constitution, also known as Old Ironsides, is a wooden-hulled, three-masted heavy frigate of the United States Navy named by President George Washington after the United States Constitution. She is the world's oldest commissioned naval vessel still afloat.